Rompecabezas mixes very traditional takes on the more serious palos with some lighter rumbas that feature more extensive instrumentation and stronger choruses. The alegrías Por Los Esteros, with Niño del Pura on guitar are a sort of halfway house on this peculiar journey and work exceptionally well. There are bulerías with Tomatito, a rumba with Tomatito and Paco de Lucía, a tango rumba with Raimundo Amador and a malagueña with Juan Manuel Cañizares in memory of Enrique Morente, all of which are good, but not as good in my opinion as the stand-out track – a heart-wrenching bulerías with Diego del Morao. 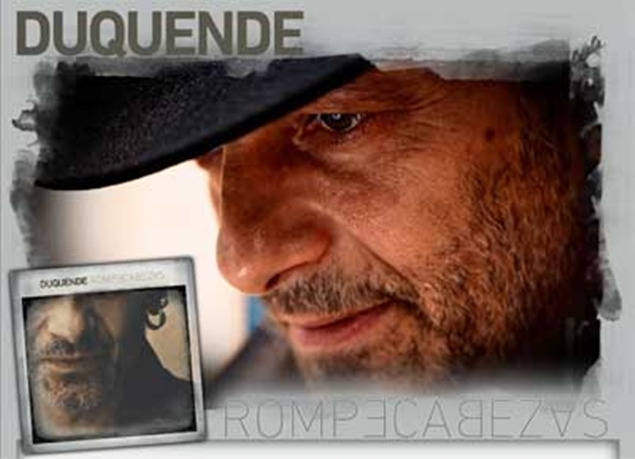 We’ll end this short review the same way Duquende ends the album, a tonás, one of the hardest Gypsy palos, sung here with the strength and desgarro Duquende has always shown when dealing with the rawer end of the Flamenco canon.